Dame Street is a large thoroughfare in Dublin, Ireland. The street is the location of many banks such as AIB, Ulster Bank and the Central Bank of Ireland. It is close to Ireland's oldest university, Trinity College, Dublin, founded in 1592, the entrance to which is a popular meeting spot. The street takes its name from the medieval church of St. Mary del Dam which was demolished in the seventeenth century. Sir Maurice Eustace, Lord Chancellor of Ireland 16606-1665, built his townhouse, Damask, on the site. During the day, the street is very busy, due to its prime location in the city centre. 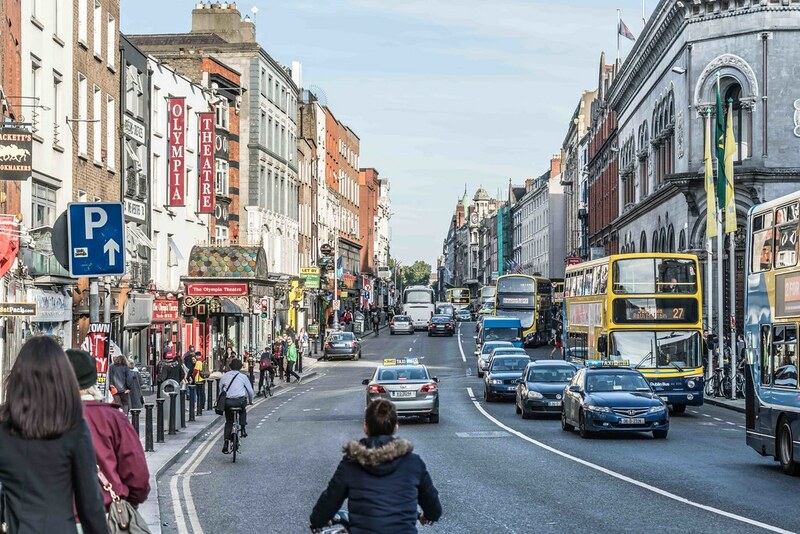 It is a five-minute walk to the shopping area of Grafton street and ten minutes from O'Connell Street, Dublin's two most famous thoroughfares. The Temple Bar area of the city is located directly north of the street. Daly's Club was founded in the 1750s at numbers 1-3 Dame Street and remained there until 1791, when it moved to College Green. The Central Bank of Ireland headquarters on Dame Street was built in 1975, higher than planning permission allowed, though this was retrospectively rectified. The matter was debated in the Oireachtas in 1974.